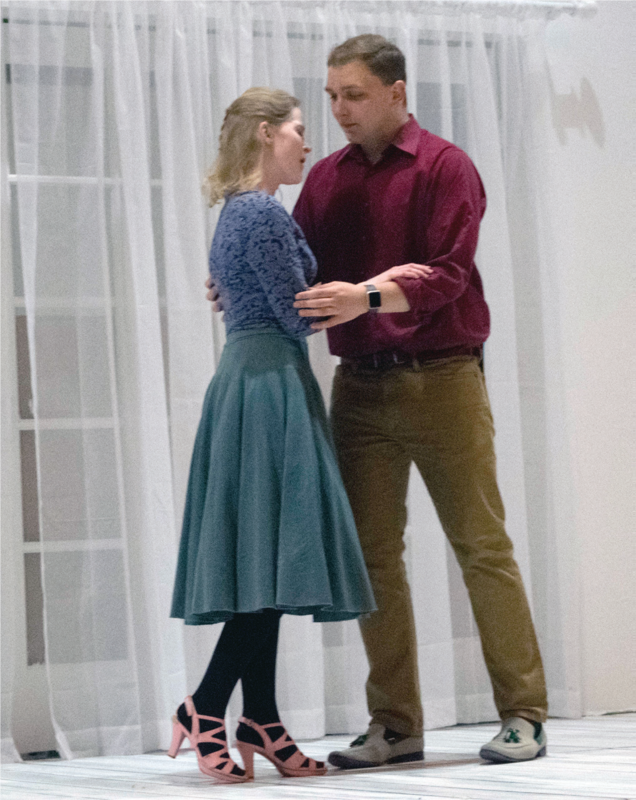 Baldwin Wallace University will be putting on the opera Il Matrimonio Segreto at the John Patrick Theatre in the Kleist Center on March 22 through 24 at 7:30 pm and March 25 at 2 pm. The opera, which is translated as “The Secret Marriage,” is a comedy involving two sisters, an aunt, and a father all living in the same household. With sudden surprise, the youngest sister decides to have a secret marriage. “Our idea for the concept of the opera was to make sure we maintain the comedy in it, which I think is a very important element,” said Noa Naamat, director at the Royal Opera House of London who is guest directing the opera. The University will be having two productions a year, one in the spring off campus and one in the fall on campus, says Jason Aquila, the Music Director of the Vocal Performance and Opera Program at BW. This opera is a more traditional performance than others in the past; the two-and-a-half hour production, which includes a brief intermission, intertwines comedy to achieve the goal of pushing the idea of gender and marital expectations. “Even though it’s over 200 years old, especially in our production, [the opera] is addressing some issues that we still have to this day about social responsibility and gender roles,” said Aquila. Although all of the music will be sung in Italian, said Aquila, there will be supertitles to help the viewers understand what is happening within the performance, along with stage directions. The orchestra, which is made up of 33 students within the pit, will be conducted by Tiffany Chang, the Interim Director of Orchestral Studies and an Assistant Professor at the Conservatory of Music at BW. The orchestra will be made up of classical era instruments, including strings, winds, and percussions. A forte piano, a historical instrument often used in earlier period works, will also be present at the performance, which will be played by Aquila. Il Matrimonio Segreto, which was one of Cimarosa’s few operas, has one of the longest encores in history of opera. It was and still is a very celebrated piece of work, said Aquila. “There is a general nonunderstanding of opera and how it can be something that is both relevant artistically and socially, but also entertaining in the same way a rock concert or musical is,” said Aquila. The opera is a way to pull in individuals, said Naamat, and make them apart of the production.